Computer Troubleshooters North Staffs is a locally owned and operated IT services and solutions business supporting SMEs and home users across North Staffordshire and South East Cheshire. Computer Troubleshooters North Staffs specialises in providing a wide range of technology services and solutions that are designed to lower your stress and save your business time and money. I have a deep understanding of the needs of your small business because I run a small business too. I know that technology drives your business and your budget is tight. 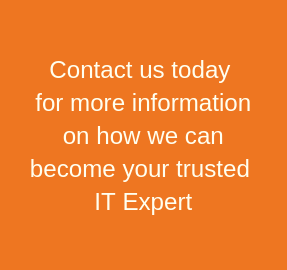 I can help you to make the most of the technology you already own, invest intelligently in products that will bring your office efficiency and productivity, and keep you from worrying about the day to day management of it all. Residential clients need to know their computers will be safe and reliable. You want your systems to provide you with the connectivity you need and the convenience you demand. Whether you want to check the weather from the kitchen on your tablet, finish a work project at your desktop in the study, or chat with the grandchildren on your laptop in the living room, you want to know that it will work. I will give you peace of mind knowing that your security is in place, your data is protected and your technology was a great investment! As an expert in computer support, cybersecurity, cloud services and data backup, let me show you how to implement these in your business or home office so that you are more productive and efficient. My commitment is to understand your needs and goals so you can rest easy knowing your technology is ready to grow and adapt as your needs grow and change. No one wants to be caught with inadequate security software, no backups, or systems that are too slow to use. Technology advice, support and management from the Computer Troubleshooters network has earned the trust of clients in North Staffs, Cheshire and around the country over the last 20 years. I can be your Trusted Technology Advisor just like I am for these satisfied clients.